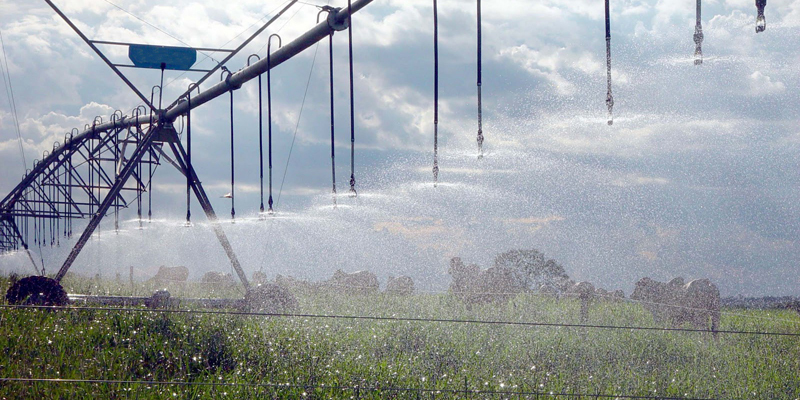 The expansion of monoculture in Ceará is leading to the expansion of water infrastructure projects such as the Baixo Acaraú irrigation project that threatens the land of indigenous Tremembé. The Tremembé are an indigenous group who inhabit Brazil’s northwest State of Ceará. In the XVI century, they occupied an area that spanned from what is nowadays the State Para to Ceará. However, today, they can only be found in four coastal municipalities of this last State. Despite having lost most of their land rights in the XIX century, in the past decades they have been strengthening their political organization and struggling for territorial recognition against different economic interests in the region. These interests, who mainly come from agribusiness activities – such as coconut plantations and irrigation projects – and tourism infrastructure, put their already small territory under constant pressure. In the 1980s, a government institution responsible for the implementation of irrigation systems (Departamento Nacional de Obras Contra as Secas, DNOCS) planned to implement the Baixo Acaraú irrigation project, whose main objective was to modernise agriculture and expand the production in the Acaraú Valley. The project covered more than 12,000 ha, including the Tremembé site of Queimadas (Acaraú minucipality). Initially, DNOCS technicians assured the Tremembé they would not be removed from their lands. However, with time, DNOCS started offering economic compensation to the community. Most inhabitants refused to sell land. The Tremembé opposed this solution – which they saw as serving the interests of fruit growing entrepreneurs, mainly coconut plantations. The indigenous community of Queimadas had come from another settlement in the nearby municipality of Itarema in the 1920s due to expropriation by agribusiness ventures. One of the strategies used by DNOCS was trying to buy some families by giving them money. While assuring these families thy wouldn’t have to leave, they were actually trying to prove these families had sold the land. In the end, some families left the area. In the early 2000s the project drastically reduced the Tremembé’s land. The families who stayed initiated a struggle for land recognition. Missão Tremembé, a regional association, was their first ally. They worked as an intermediate between the indigenous group in Queimadas and institutions such as Fundação Nacional do Indio (FUNAI) and the Federal Public Ministry (MPF). The people at Queimadas also received support from other indigenous settlements who, through political mobilisation and counselling, formed a cooperation network strengthening the struggle for land. However, in 2003, a Federal Court ordered the DNOCS to proceed with the irrigation project and to take possession of the areas occupied by indigenous groups. Missão Tremembé, together with other missionary groups, the FUNAI, the MPF and the press alerted for the risk of confrontation between the police and several Tremembé groups who had vowed to block the access for trucks charged with house demolitions. The DNOCS was force to stop the demolitions while, at the same time, FUNAI managed to suspend the project until the studies on the indigenous land were finished. In 2010, the FUNAI initiated a process for recognition of 767 ha of land to the Tremembé of Queimadas. The Ministry of Justice has declared its possession by the indigenous group in 2013. However, the territory is yet to be homologated by the President of the Republic. Project Details The Baixo Acaraú is a 12,406-ha irrigation project in Ceará using the water of the Acaraú River. Development of Alternatives Indigenous Tremembé have proposed the demarcation of their land and land rights. Why? Explain briefly. The Ministry of Justice recognised land possession. Nevertheless, only when the President of the Republic homologates the indigenous territory will land rights of the Tremembé be fully guaranteed.